Base of operations: Steel Town, MA. Place of birth: New Orleans, LA. Origin: Wallace Tweed was a renowned scientist whose work in cell regeneration was well before it’s time. With his daughter sick without a sign of recovery, Wallace devoted his time and energy to finding a cure for his daughter’s unknown condition. His colleagues suspected him of conducting unauthorized experiments on his own daughter. When this accusation was found to be true, his colleagues brought ethics charges against him. Soon after this he was scorned by the scientific community and found himself with out a job and his research hindered. Unwilling to stop his research and in need of a place to house his dying daughter’s body, he turned to his Uncle Thaddeus Tweed the owner and operator of Tweed’s Mortuary. Sometime later Thaddeus signed over ownership of the mortuary to his nephew and has not been seen since. Now with no one around to watch over his actions, Wallace is free to continue his research with countless subjects to work with. 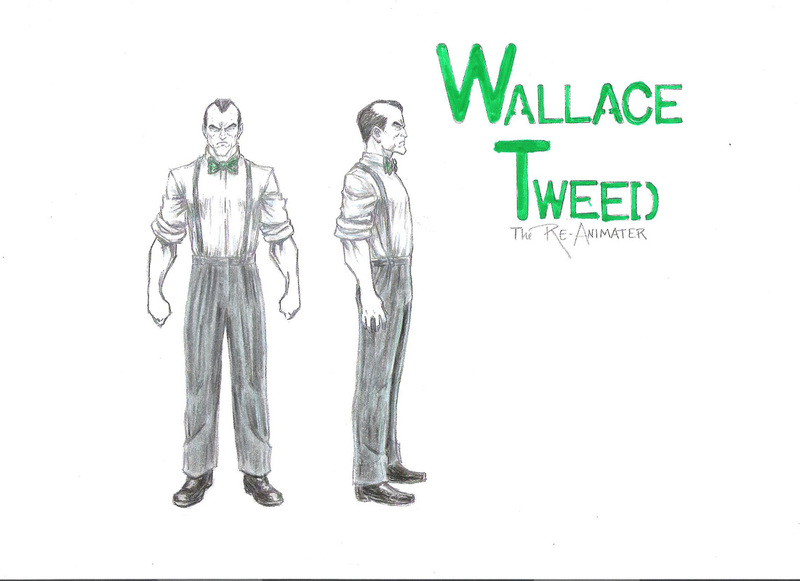 Special powers/ Abilities: Though not especially strong or skilled in fighting, Wallace Tweed is nonetheless a deadly combatant. He is a brilliant scientist and chemist, concocting his own quickening serum, which gives him the power to wake the dead and control them. Previously, he has demonstrated his willingness to desecrate the dead, making the do his bidding. From robberies and abduction and assaults to mayhem and murder. There is nothing Wallace Tweed is unwilling to do to continue his work, his young daughter’s life hangs in the balance. Weapons: In the process of his research Tweed’s experiments on the undead have yielded misshapen monstrosities ready to do whatever he desires.